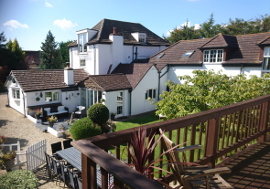 Party Manors offers a selection of large houses and manors catering for parties of 10 or more to rent. We've selected a unique collection of Britain's top party venues to choose from. We know just how important finding the right location for your special occasion is, whether that's a milestone birthday party, a reunion with friends, a family gathering, a stag party, hen party or a wedding celebration, a corporate event or vacations for everyone. From sweeping drives, electric gates, wonderful countryside, stunning views, to a great atmosphere for celebrating that special occasion. We inspect all our accomodation personally, it is a hand picked collection which offers a variety of styles that have one thing in common: putting you first. When you contact us, we treat you as an individual and pride ourselves on our independent advice to make your choice easy. Together with the perfect location for your special celebration, we can provide personal butlers, catering, beauty treatments, entertainment, party decor, taxis, executive minibuses and maid services by arrangement. Due to a cancellation PMHouse024 now has late availability for the half term week from February 15th-22nd. Also there is still availability for the weekends of 15th and 22nd March. If you are looking for a last minute venue for you and a group of 20 to 30 friends and family for any group celebration, such as a hen or stag party, special birthday or reunion call Cazz on 07966 443 536 to find out about the offers available for these dates. The house offers a games room, plus indoor heated swimming pool AND you can also hire a hot tub. If you want to celebrate in style with friends and family, take a look at our selection of luxury houses with plenty of room to accommodate a large group of guests. A house party gives you the opportunity to bring everyone together in a relaxed and informal setting without the restrictions of a hotel. Rent or hire one of our fabulous properties to host a party that all invited will remember. All our properties are hand picked, vetted by personal inspection so you can be sure you will be staying in only the best venue for your specific event. We make sure that your chosen venue offers complete privacy and exclusivity for the duration of your stay. The house, gardens and grounds will be yours and yours alone. Are you a luxury home owner with seven bedrooms or more and can you offer weekend lets? Larger properties that can accommodate groups of between 20 and 30 are in high demand. Join us free - no sign up cost. To find out more about the income opportunity call Cazz on 07966 443536.